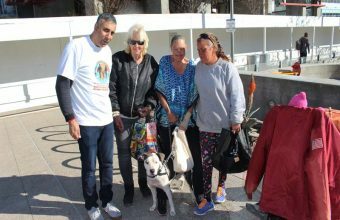 The homeless population in San Diego city and county is now the fourth largest in the country, according to the U.S. Department of Housing and Urban Development. Nearly 48% of those without housing are sleeping on the streets. Visiting Down Town San Diego, as I got out of my taxi to go to my hotel , I saw so many homeless men, women and children ,standing on street corners, panhandling, sleeping on corners and looking through garbage cans, I have to say I have never seen so many homeless people in a radius of an block, I thought New York was bad, but San Diego was very bad versus what I saw. 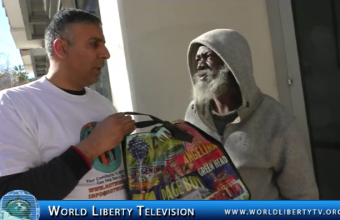 See More about Humanity in our World Liberty TV Humanitarian Channels by Clicking here. Hotel del Coronado (also known as The Del and Hotel Del) is a historic beachfront hotel in the city of Coronado, just across the San Diego Bay from San Diego, California. It is one of the few surviving examples of an American architectural genre: the wooden Victorian beach resort. It is the second largest wooden structure in the United States (after the Tillamook Air Museum in Tillamook, Oregon) and was designated a National Historic Landmark in 1977 and a California Historical Landmark in 1970. ‘The Del’ was the ‘in place’ to stay and many celebrities made their way south to party during the era of Prohibition. Douglas Fairbanks, Rudolph Valentino, Charlie Chaplin, Clark Gable, Errol Flynn and Mae West were a few of the many actors who stayed at the hotel. Notable guests have included Thomas Edison, L. Frank Baum, Charlie Chaplin, King Kalakaua of Hawaii, Vincent Price, Babe Ruth, James Stewart, Bette Davis and Katharine Hepburn. More recently, guests have included Kevin Costner, Whoopi Goldberg, Gene Hackman, George Harrison, Keanu Reeves, Brad Pitt, Madonna, Barbra Streisand, and Oprah Winfrey. 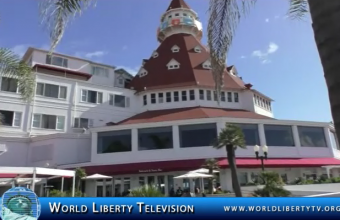 See exclusive footage of the Hotel Del Coronado, inside and outside as well as the Coronado beach ,right here in our World Liberty TV Travel and Tourism Channel and Luxury Channels. We did the following tour for San Diego in California, for our World Liberty TV , Travel and Tourism Channels, we have to say it is very impressive the history San Diego has to offer the world. 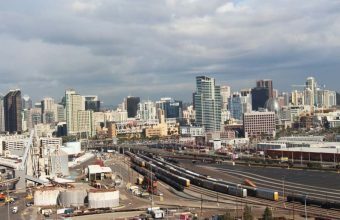 In 1996, as the region comes out of one of its deepest recessions and aims toward a new century, most experts are in agreement on San Diego’s promising future. While our land will always be of prime value (the speculators will always be with us), and while tourism will continue to flourish (it’s our number-three industry), San Diego’s destiny seems inextricably tied to its burgeoning growth in the high-tech, biotech and communications fields. And those clean, cutting-edge industries of the 21st century should help maintain what San Diego has preserved of the paradise discovered by the San Dieguito, the Kumeyaay, Cabrillo, Vizcaíno, Portolá, Serra and Horton. See great footage of this great citie in the USA, right here in our World Liberty TV Travel and Tourism Channels. 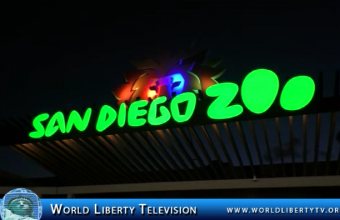 See more about San Diego in our World Liberty TV Travel and Tourism Channel by clicking here. 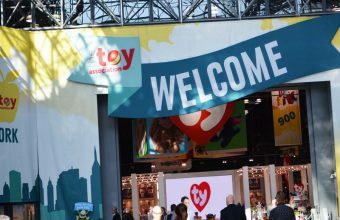 The 115th North American International Toy Fair opened its doors this morning at the Jacob K. Javits Convention Center in New York City, where tens of thousands of global play professionals are gathered to see hundreds of thousands of innovative toys and games before they hit store shelves. Open through Tuesday, February 20, Toy Fair ’18 is the Western Hemisphere’s largest and most important toy show, representing the creativity and vitality of the North American and global toy marketplace. Manufacturers, distributors, importers, retailers, licensors, inventors, and other toy industry representatives from six continents are at Toy Fair to do business and scout the latest toy and youth entertainment trends. Produced by The Toy Association, the show is a massive celebration of toys and play, boasting 443,400 net square feet of exhibit space – the equivalent of nearly eight football fields filled with toys. See some of the Newest Toys on the Market, with exclusive interviews with the owners and inventors of these toys right here in our World Liberty TV Toy and Gaming Review Channels. 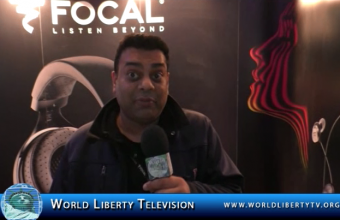 See more about Toy Show 2018 in our World Liberty TV ,Toy and Gaming Channel by Clicking here. CanJam Global is the world’s premier series of headphone audio shows and is produced by Head-Fi.org, the world’s largest audio community. Since 2006, CanJam events have been a community showcase for Head-Fi.org, and an industry platform that enables headphone audio manufacturers, distributors, and dealers interact with their customers, peers, and the audio, lifestyle, and technology press. CanJam Global show attendees have the unique opportunity to experience the very latest in headphone and personal/portable audio technology with interactive product demos, educational seminars, and more. Campfire Audio, Meze Audio, Sennheiser, 64 Audio, Audeze, Abyss, final, Ultrasone, MrSpeakers, 1More, and STAX will all unveil new headphones at CanJam NYC 2018, February 17-18, 2018. There are also new DACs and amps from FiiO, Schiit Audio, Chord Electronics, iFi Audio, and more. It was a great event hundreds of people in attendance, we are showcasing the following brands, 1More Headphones, Audio-Technica, Focal , RHA Audio and Advanced . See this and more in our World Liberty TV Technology Channel by Clicking here. A Spanish fashion designer born in Madrid in 1962. He made studies of architecture and fine arts before devoting himself professionally to the world of fashion, activity, since his first creations, highlighted by the originality and audacity of his proposals. He debuted with a parade in Madrid in 1981, and since then, their designs have managed to have an outstanding presence in the world capitals of the catwalk. In 1982, she opened her tienda-estudio in the capital of Spain, exhibition point of daring, cheerful, colorful and juvenile designs which toured the main competitions in Madrid, Barcelona, Japan or Uruguay. The explosion of colors Orange, rose, yellows, reds, Greens and Fuchsias and traditional motifs to adorn garments such as stars, hearts, flowers or moons characterized the Mise en scène, usually surprising and fun, the proposals of the designer. Ágatha entered fashion in 1981 with her women´s collection in Madrid. She opened her first studio in the Spanish capital and began to participate in fashion shows in Madrid and Barcelona. Agatha was a promoter of the “Movida Madrileña,” an artistic and Cultural Revolution in the 1980s. Commercial success came with her partnership with El Corte Inglés. She started to gain international recognition by means of her fashion shows in Spain, France, Italy, Colombia, USA, Puerto Rico, Santo Domingo and exhibitions in Tokyo, New York, Paris, Moscow and Bucharest. In 1991, Agatha licensed her brand, expanding her line to include men´s, women´s and children´s fashion, ceramics, toys, shoes, linens and towels, make-up and more. Her stores are located in Madrid, Barcelona, Paris, Milan, New York, Oporto and Mallorca and she is present in over 140 countries around the world. This year, in occasion of the 30th Anniversary of her first fashion show, she inaugurated her Foundation. 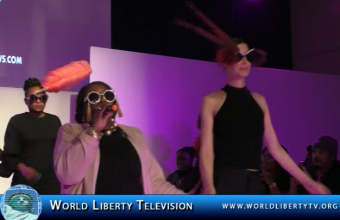 See this and more in our World Liberty TV Fashion Channel by Clicking here. See the following fashion shows by Plitz’s Fashion Week, Small Boutique Fashion Week Show and Fashion Designers of Latin America ,shows during New York Fashion Week ,Feb 2018. Plitz’s Fashion Week: PLITZS Fashion Marketing founded the “PLITZS New York City Fashion Week” in 2004. Working with international and domestic emerging fashion designers – we provide showcasing opportunities, brand exposure, networking and only charges “approved emerging fashion designers. PLITZS New York City Fashion Week has created an independent network of international and United States domestic Fashion Week show productions not affiliated with any other industry association. Founded by Wayne Sheilds. Small Boutique Fashion Week : Founded in 2012 SBFW has displayed the collections of some of fashion’s most powerful independent fashion labels. Over 400+ brands, have been featured at this highly anticipated event and Small Boutique Fashion Week has been featured in many notable publications including Forbes, Vogue, and Fox Business Network. Small Boutique Fashion Week has a history of enhancing the careers of its participants, and is always on the hunt for emerging designers that are eager to take their business to the next level. Fashion Designers of Latin America (FDLA) : Fashion Designers of Latin American September 2017 (formerly Uptown Fashion Week) shows Spring/Summer 2018 collections by Latin designers. Founded by Albania Rosario of Uptown Management and Uptown Fashion Week. Fashion Designers of Latin America fashion platform that recognizes the outstanding contributions made to Latin America fashion by individuals from all areas of the industry and related arts. 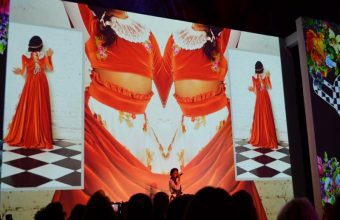 Albania Rosario travels around the world giving Latino designers the opportunity to showcase their talent in front of thousands of people from other nations. In 2017 her work is being recognized overseas across the world in South Korea and other countries of Eastern Europe and Asia for being one of the best fashion platform for Latinos around the World. 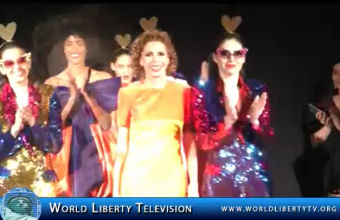 See some of the best footage of fashion Runway Shows, at New York Fashion Week 2018, Designers from all corners of the world, see this and more in our World Liberty TV Fashion Channels by clicking here. Xpozure Modeling, Xpozure Media & Model World Magazine, in association with Fashion Avenue News, Runway News, BB Magazine, Westhaven International, Uneeq Entertainment Inc, Parisian Beauty Academy / Paul Mitchell Partner School, iCu The Network, Bare Bonez Entertainment, & YOTEL New York, present … “NYC Live! @ Fashion Week” Fall/Winter 2018 Fashion Showcase — Wednesday, February 14th, 2018 (Valentine’s Day) — 4W43 — in New York City. Official Live-Streaming TV Broadcast via RunwayNews, and on select Social Media platforms such as YouTube TV, Facebook Live, Twitter Live, Instagram, Linkedin, Model World Magazine, Fashion Avenue News, and more! Featured Activities will included ..
DaJon Johnson (Women) DaJon J, (King George, VA, USA), Jelena Pirkmajer (Women), Cliché by Jelena ,Pirkmajer (Ljubljana, Slovenia), Carlos Benguigui (Men & Women) Carlos Benguigui (Caracas, Venezuela), Princella Price (Women) Ella Price & Company ,(Columbus, OH, USA), Keith Garner (Men)BME by Sebastian Cruz Couture (Dallas, TX, USA), Victor Hou (Women) Victor Hou Designs (Washington, DC, USA), Raymond Brown (Men) Ray Vincente (Trenton, NJ, USA), Fadila Kihel (Women) Mirage Haute Couture (Algiers, Algeria), Seneeca Wilson (Women & Men) Eclas Design Group (Boston, MA, USA), Thunyatorn Cheng NG (Women) Thunyatorn Thai Dress NYC (Thailand / New York, NY, USA), Dwight Eubanks (Men) The Eubanks Collection (Atlanta, GA, USA), Luxurty (Women & Men) Luxurty … ‘If You Got It, Flaunt It’ (New York, NY, USA), Pia Bolte (Women) Pia Bolte Fashion (Munich, Germany), Sofia Davis (Women & Men) Bling Darling (New York, NY, USA) and Galit Levi (Women) Galit Levi (Tel Aviv, Israel). It was a great show, showcasing designer’s from all over the world ,with close to 300 people in attendance, keeping people on the edge of their seats. We look forward to attending again in Sept 2018.
and public relations, and publishing. successful entertainment companies ever to be assembled. One thing’s for certain, X.E.I. 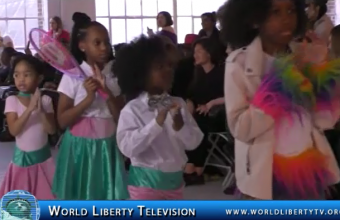 See more about New York Fashion Week-2018 ,in our World Liberty TV Fashion Channels by clicking here.